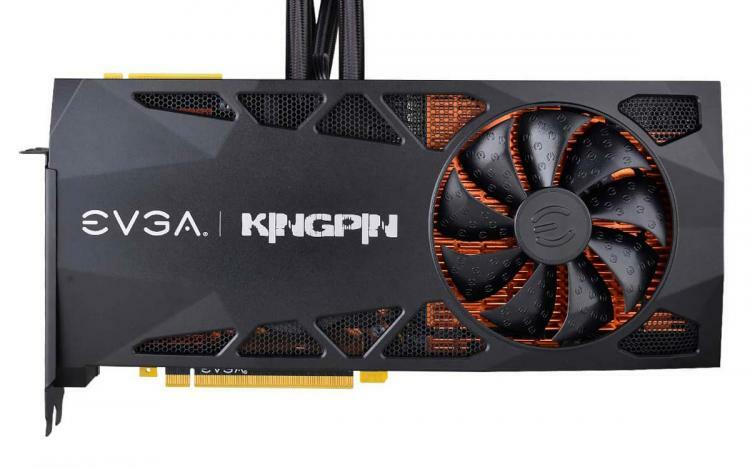 EVGA announces the availability of the EVGA GeForce RTX 2080 Ti KINGPIN Edition graphics card which is exclusively for EVGA Associate members and Associate Code users. 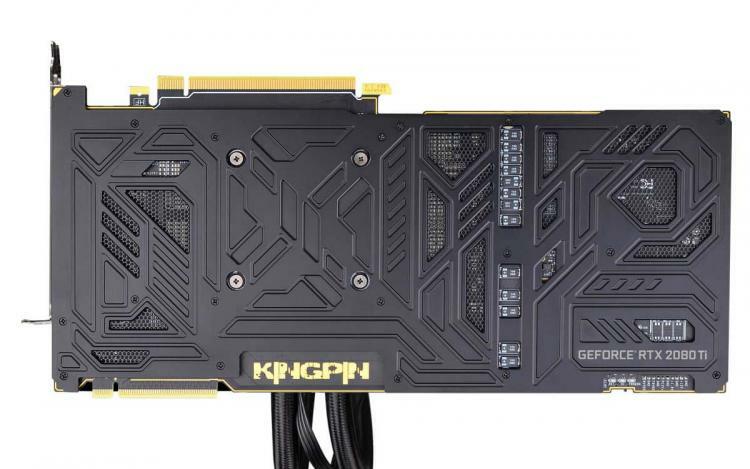 The GeForce RTX 2080 Ti KINGPIN graphics card was first introduced at CES 2019 along with the Z390 DARK motherboard and NU Audio Card. The graphics card features a hybrid cooling having both air-cooling and water-cooling mechanisms with its 240mm radiator and new Asetek Generation 6 pump. It comes with three PWM cooling fans – two on the radiator and one on the graphics card shroud that cools the modular VRM heatsink and full-copper waterblock. The EVGA GeForce RTX 2080 Ti KINGPIN also features a build-in OLED display panel on its side which offers real-time monitoring. The new 240mm Hybrid Cooler offers the lowest temperatures for any of the KINGPIN cards. 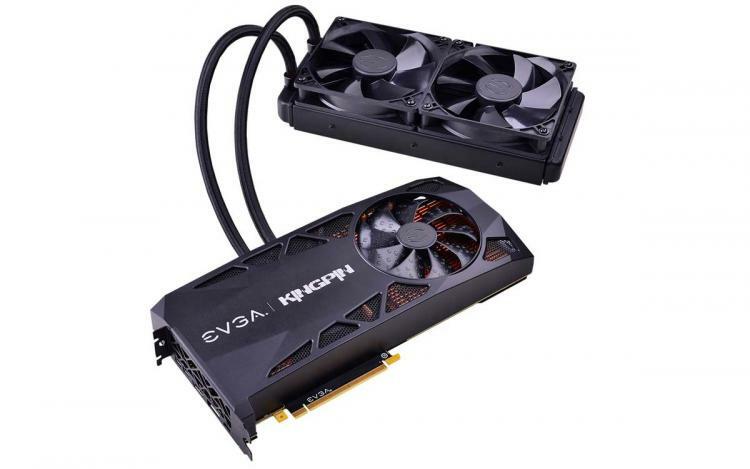 It is the first EVGA graphics card with a built-in OLED display for real-time monitoring. Built for overclocking, the EVGA GeForce RTX 2080 Ti KINGPIN packs 12 PCB layers, triple BIOS with OC and LN2 settings, and Smart Onboard Diagnostics. It also comes with a 16+3 Phase VRM with integrated Smart PowerStages along with three 8-pin +12V PCIe power connectors with over 520W load capacity. Lastly, the EVGA GeForce RTX 2080 Ti KINGPIN comes with Probe-It and EVBot headers for real-time monitoring and tuning of power settings. EVGA will release a full-cover EVGA Hydro Copper waterblock in the near future. 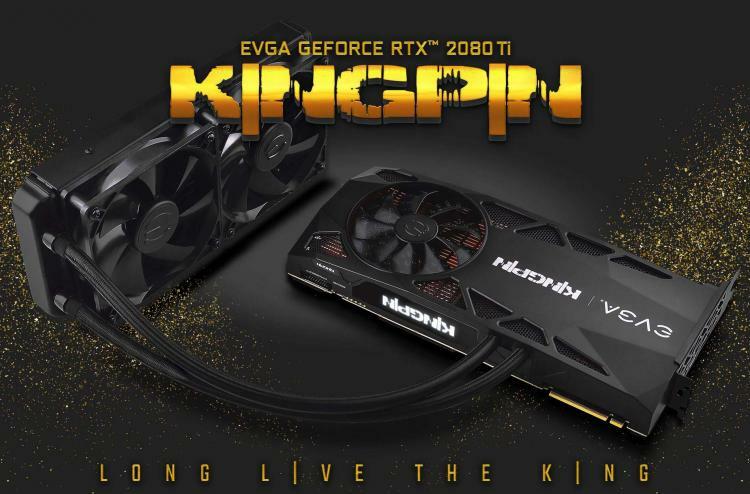 The EVGA GeForce RTX 2080 Ti KINGPIN graphics card is exclusively available for EVGA Associates Member and Associates Code users with an MSRP of $1899.99. Learn more about the EVGA GeForce RTX 2080 Ti KINGPIN here. Learn more about EVGA Associates here.